Companies have tracked employees for decades. Today, the Internet of Things is simplifying this process, putting smartphones and devices in your car to work. The result? Better efficiency and improved customer service for them—constant tracking of you. At the core of this next-generation tracking is telematics, says Chris Ransom, manager of solution architects for Verizon Networkfleet, a major provider of GPS devices and services such as roadside assistance. What is telematics? Every time you place a call in your car over Bluetooth, you're taking advantage of telematics, a way to link information to your telecommunications devices. 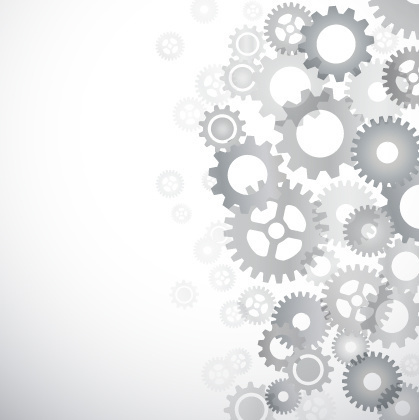 Companies put this service to use to gain a competitive advantage to those that do not. Employees get to destinations faster, operational costs are lowered, and vehicles use less fuel and are better maintained, says Ransom. Verizon Networkfleet finds telematics can reduce costs and improve customer service. Tracking, understandably, does not bring up the picture-perfect image of a trusting boss. (Or parents.) Most people want their employers to have faith that they get their work done during the day—and that they are making sales calls when they say their on the road. Ransom gets that, which is why he suggests before launching any telematics program, let employees know. Transparency? That's key—plus employees will know not to stop for a birthday gift for their favorite aunt when they're being monitored. Children too should know that their parents are watching. Insurance companies actually send the devices to their customers—who are then well-informed, before they start their engine, that the company is watching. For companies, one way to track is to attach a device to the diagnostics port (OBD-II), found on most cars made after 1996. 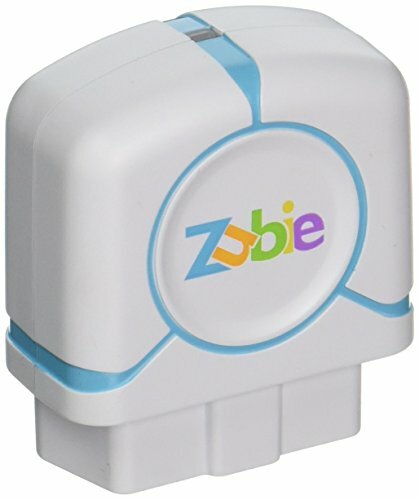 Zubie, for example, is a software and app platform that includes a cellular data connection, along with vehicle tracking, reports, alerts and the Zubie key, or device, that goes into the port. After installing the Zubie key, managers bring up scores, indicating how well their employees' are driving. They can also set alerts. A gas idle alert, for example, once showed a Zubie client that an employee was leaving the vehicle running, with the heat on, when inside a client's house on a service call. Zubie first started marketing to individuals before discovering that small-to medium-sized business were adopting its product—from cleaning services to landscapers and home construction companies, says Navin S. Ganeshan, chief product officer of Zubie. Ganeshan says that Zubie can also alert clients to hard acceleration and breaking, as well as create reports comparing scores of fellow drivers—helping managers knows which employees are driving safely. Managers can also be alerted when the Zubie device is removed and connected, whether by an employee or a carjacker. "Car thieves are smart, if they see an OBD-II tracking device, they'll remove it," warns Kristina Lowe, director of product marketing at Spireon, another maker of GPS tracking devices. Spireon's telematics tracking device can keep track of employees, as well as vehicles. Lowe notes that a vehicle is stolen every 45 seconds in the United States, and suggests managers look for a telematics tracking solution that offers stolen vehicle recovery—and works with law enforcement to help recover the vehicle before it is damaged. Spireon devices are actually hardwired into vehicles, making them difficult to steal, plus include insurance discounts from some carriers. Before choosing a telematics or tracking solution, Spireon's Lowe suggests business owners ask for a software demonstration to see if their solution meets their needs. Trucking companies, which have used Spireon for example, often end up with fewer lost trailers, says Lowe. Car dealers too find they have fewer missing vehicles, she adds. Employers like that they can see where their vehicles are, which helps them improve productivity, she says. Case in point? Lowe says that one of Spireon's clients found their workers were taking two-hour lunches at Hooters. Businesses who already own GM 2015 model year vehicles or later can use Commercial Link, marketed directly to companies. The service offers near real-time vehicle tracking, alerts, a customizable dashboard plus other services including the ability to remotely unlock the vehicle preventing employees from being stranded, says Chris Rauser, GM's Commercial Link senior product manager. Commercial Link works on both iPhone and Android devices. Will these work with my teen? While Verizon Networkfleet is focused more on the business market, there are IoT devices and services available that can help you watch your teen's driving behavior. 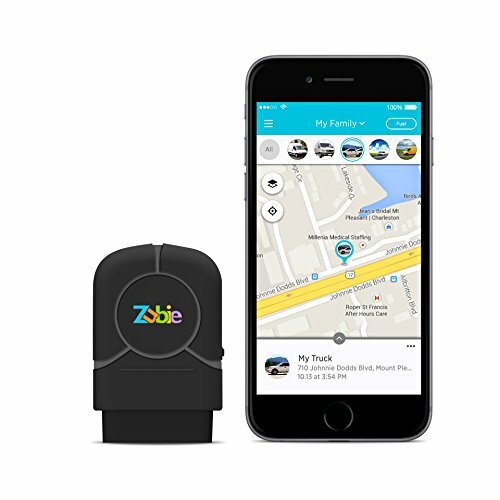 Zubie's consumer product, for example, sends weekly reports showing how teens drive, plus it lets you set geofencing and get alerts. Parents can also buy Spireon's Kahu from an auto dealer that pushes vehicle locating and recovery while sending smart alerts as well. 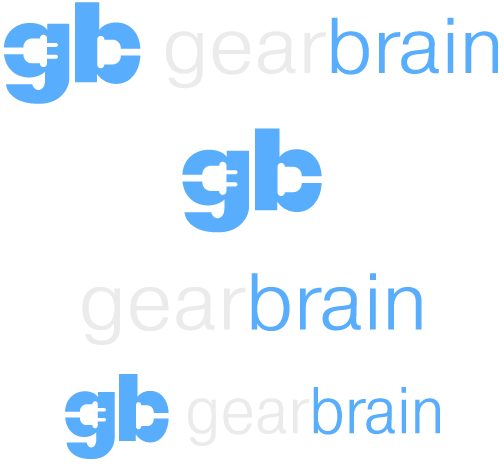 Ford owners with Ford's Sync 3, which GearBrain reviewed in March, can use the FordPass app for similar tracking. Automakers are keenly aware that families worry about their teen drivers. Teen drivers with parents who are "authoritative," actually report fewer accidents than those whose mom and dad are less involved, according to a 2009 survey in Pediatrics. OnStar's Family Link helps parents get immediate information about where their car, and child, is at any moment. The service works with most 2010 cars, and almost all 2011 and older vehicles, say its web site. The 2016 Chevy Malibu and 2017 Buick LaCrosse, Envision and Encore offer Teen Driver, a program that pushes out teen safety tools and features such as speed warnings, and radio muting until seat belts are buckled. Parents can also get alerts about their child's driving and an in-vehicle report card. Another option is downloading a tracking app on to a teen's smartphone, such as "Find My iPhone," which is free and works with Apple devices. After installing the app on a child's iPhone or iPad, parents just need to punch in their teen's iCloud details and voila, the location is sent. Of course, teens can always leave their iPhones at their friends' houses or turn their smartphone—and GPS tracking—off. "Glympse is an ideal way to show customers the location of a real estate agent, food truck or plumber," says John Young, director of partner product at Glympse. Glympse reassures that Buffalo wings will arrive on time. Glympse actually created branded programs for clients such as Pizza Hut and Time Warner Cable showing customers live maps of when their pizza was arriving, or the cable installer, improving customer service. "Telematics is more than just GPS tracking," says Spireon's Lowe. "It's about empowering business, intelligence and taking the business to next level." Click here to buy Zubie ODB II.